Posted on March 18, 2015 by EllenAllen	in Author spotlight and tagged Author Spotlight, Five Wounds, Katharine Edgar, Try before you buy. This is part of the series, “Try before you buy”, offering self-pubbed authors an instant opportunity to hook you with a very short extract of their new book, one sentence from their best review and to divulge the most interesting writing titbit they have (share and share alike…). Today’s feature is a YA historical novel called Five Wounds by Katharine Edgar. Blurb: It is 1536. The north of England has boiled over into rebellion against Henry VIII and the rebels march south towards London, growing stronger by the day. Sixteen-year-old Nan Ellerton, sent home from her convent when the King’s commissioners arrived, has been promised in marriage to a powerful lord. When both he and his son Francis become embroiled in the revolt, Nan must choose – help the rebels, even though it could mean paying the brutal penalty for treason, or betray her beliefs and risk eternal damnation. Five Wounds tells a story of adventure, passion and courage, set against the backdrop of the Pilgrimage of Grace. May screamed. ‘Soldiers! Coming over the hill!’ She pointed up to the skyline. There they marched along the crest of the hill, a band of men on foot, billhooks and staves silhouetted against the sky. 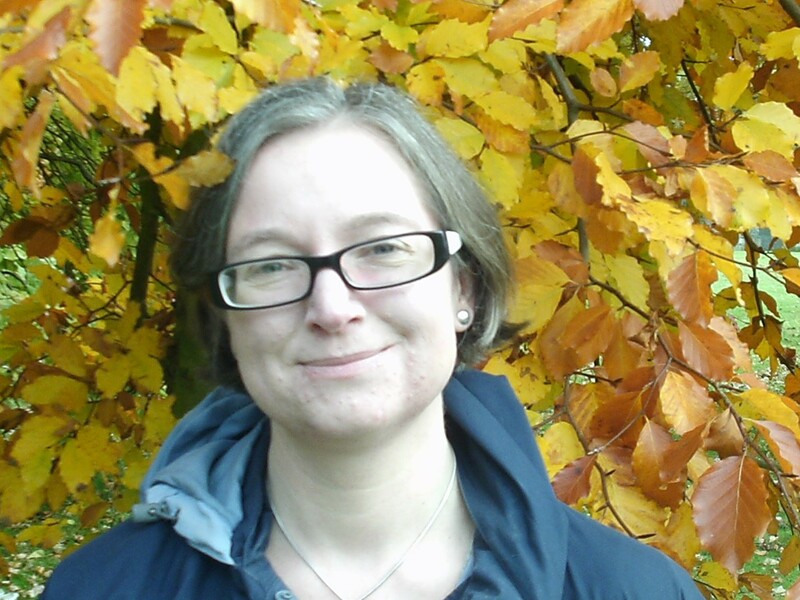 About the author: Katharine grew up in Essex and before becoming a writer she worked in museums, universities and in archaeological interpretation. She lives in Yorkshire in an old, cold house full of mysteries. Five Wounds is her first published novel. Tell us a little bit about you as a writer: I have three children, so it’s a case of seizing the moments when they’re not around! Historical means a lot of research but you don’t always know what you need to know till the book comes together, so it’s a case of research-write-research-write-research-write. I have shelves of books on the history of food, clothes, religion, weapons, gardens – pretty much anything you can imagine. Why do you write/enjoy writing? Like most writers, I’m a reader first and foremost, and writing feels like a super-intense form of reading. I write historical because I love the satisfaction of feeling like I’m bringing the past back to life. My mental world is full of the ghosts of the people who lived here before us, and I love finding the words to put them down on the page so other people can see them as well. Then I think I get some kind of evil power kick from working them into a story that readers can’t put down! What’s the more important thing you’ve learned as a writer? How much you can improve your writing by revision. I used to think editing just meant removing typos, that you had to go with pretty much whatever came out of your brain the first time round and if it wasn’t good enough it was because you weren’t enough of a genius. Now I know the first draft is just the beginning. Tell us a quirk about you/why you are different (one thing): I used to be a re-enactor so I have all kinds of random historical skills. I can spin wool, cook Tudor or Georgian food and dance La Volta – the best dance ever, by the way, because you get lifted into the air and spun round so it feels like flying. Want to know more? Find Five Wounds on Amazon UK or US or follow Katharine on her website or facebook. If you want your book featured on ellenallen.co, drop me a line.